Alliance player Danny Wells is safe at home against the NY Hounds. The West Conference Championship theme was “Back to the Future” as the tournament was held at the Big League Dreams facility in Cathedral City (Palm Springs), Ca. 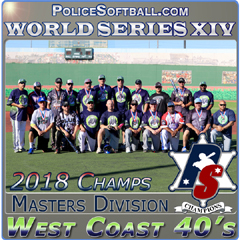 The venue was the site of the first 5 Police Softball World Series tournaments before that event moved to its current location in Las Vegas. This facility is the flagship Big League Dreams park and used to host some of California’s largest police softball tournaments. 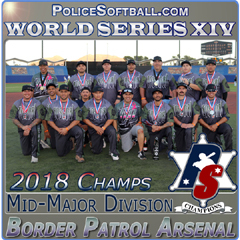 It has been 7 years since a major police tournament was held here, so Policesoftball.com decided to visit our roots and take a walk back through time. Teams were encouraged to wear “retro” uniforms on the opening day and some did not disappoint. The New York Hounds were unanimous winners of the team award as they donned old school league night sleeve jerseys and dangerously tight coaching shorts. The individual winner was a tie between DEA teammates Mike McMorrow and Kevin Mort. Mike’s shorts were so tight you could count how many BLD tokens he had in his pocket and Kevin sported freshly cut-off blue jean shorts. They were rewarded with Easton batting gloves and a PS Beanie for their efforts. A old school player party which included a poker tournament was sponsored by financial consultant Chris Egan as drinks and food were provided for those in attendance. The 30 competitor poker event was eventually won by Poker King Jimmy Wolters from the NY Hounds. 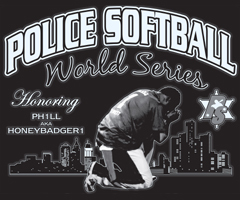 Although the mood was festive, the games were very intense as 20 teams from across the nation were put to the test in one of the most prestigious tournaments in the police softball circuit. Five Majors teams; DEA Combo, NY Hounds, SoCal Alliance, LA Lawmen and CenCal Connection all handled business by winning their round robin brackets by wide margins. Teams that placed 2nd in round robin would earn the top 5 Gold Division playoff seeds. Those teams included; Arizona Ablaze, SoCal Riot, NorCal Warriors and Stanislaus. The biggest round robin shocker was the pesky DVI Gladiators who defeated a stacked former Gold World Champion Cali-Force Squad to earn a top seed. The playoff schedule was a unique double elimination, three game guarantee format which translated into a LOT of softball for most of the teams. In the Majors division the NY Hounds defeated CC Connection to earn a date with the defending WCC Champs the SoCal Alliance. The DEA Combo worked some late inning magic to come back and defeat the LA Lawmen. The Hounds and Alliance game was a see-saw affair but in the end the Hounds left the tying run on 1B with the winning run at the plate. Alliance pitcher Keith Habig ended the game by throwing some nasty cutters that led to a game ending foul out. In the loser bracket the CC Connection got red hot and inked convincing wins over both the LA Lawmen and NY Hounds. Meanwhile the Alliance won a close game against their crosstown rivals the DEA Combo in the undefeated game to earn their ticket to the dance. Teams battling through the loser bracket would have their work cut out for them as there were still plenty of games to play in order to get to the Alliance, a team that has never been double dipped in their 16 year history. Despite two early losses, the Hounds went on an epic run that was certainly one of the most impressive performances in the history of the WCC event. The Hounds eliminated several West Conference teams back to back to back without any breaks. LA Lawmen, CC Connection and former World Champions DEA Combo all fell to the Hounds. A battle weary Hounds punched their ticket to the big show to face a well- rested Alliance team. The Hounds kept it close all game, but since this was their 7th game of the day and fifth in a row, they did not have enough gas in the tank to finish their run. Those in attendance commended the Hounds for their tenacity, talent and youth. The Theiss brothers proved to be everything they have been hyped to be, 3B Shawn Kelly has been discovered as the most underrated player in the circuit and pitcher Duke Settoducato could be the best pitcher this side of Jeff Graus. The scary thing is, all those players are in their 20’s and 6 players on the team are 25 or younger. Their coaching staff creates an atmosphere of controlled intensity. They play loose but focused. It is clear that Jimmy Wolters has built this team in his blueprint and Hall of Famer Dan Spinelli brings a certain “never say die” swagger. As they battled through the loser bracket you could sense Spinelli’s presence inspiring the youngsters. Meanwhile the Alliance did with the Alliance does and that is execute clutch defense plays, manufacture runs, and hit timely home runs. For the Alliance, they became back-to-back WCC champions and continued their season long undefeated streak. 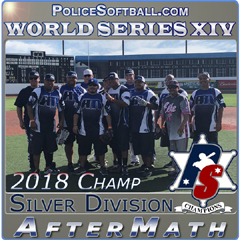 The Gold Division featured 15 teams ranging from well established veteran teams such as Cali Force, Stanislaus, SoCal Riot, Nitro2Go and the El Dorado Cartel along with newcomers such as Cancer Treatment Centers of America/CTCA, Degenerates, NorCal Warriors and Team Galvez. 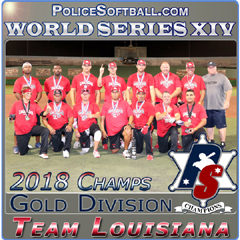 The Gold Division has become the most popular division in the police softball circuit as it is quite unpredictable, teams typically retain a core roster, and there is a greater variety of competition. In this event for example, the Gold Division was three times bigger than Majors so teams don’t typically the same opponents every tournament. Defending Gold champs Stanislaus earned the #1 overall seed and a crucial first round playoff bye. They were the only team to get a bye, and with only 10 players, it was much needed. In the early rounds Most Wanted, DVI Gladiators, Team Galvez, SoCal Riot, Cali Force, El Dorado Cartel and Arizona Ablaze all notched wins while Gold Combo, NorCal Warriors, Nitro 2 GO, Santa Cruz, CTCA and the Degenerates all landed into the loser bracket early. To win this tournament these losing teams would need to win 9 games which would be difficult to say the least given the level of competition they would be facing. 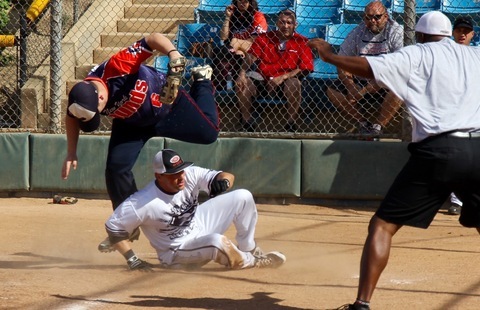 Stanislaus marched through the winners bracket with victories over Most Wanted, Team Galvez, and Arizona Ablaze to earn their way into the ship. They would need to be double dipped, which typically does not happen, but did last year when Stanislaus double dipped Lethal Force in this same event. This year, it would be Stanislaus in the catbird seat waiting for someone to emerge from the loser bracket. The team that seem most poised to give them a run was Arizona Ablaze. They inked wins over Santa Cruz, El Dorado Cartel, and SoCal Riot before falling to Stanislaus in a close game. A couple newer teams earned some well deserved recognition with a strong playoff showing. The NorCal Warriors looked very formidable and should be an immediate impact team. They defeated Gold Combo, Most Wanted and the DVI Gladiators before finally being eliminated to the established Cali Force squad. The Degenerates are young, athletic, and clearly on the rise. They defeated CTCA and Santa Cruz before securing two “upsets” over the well established El Dorado Cartel and BP Arsenal. It took an inspired performance by SoCal Riot to send them home. Despite a slow start on Friday, the SoCal based Team Galvez looked very impressive come playoff time. They notched wins over Degenerates and DVI before dropping into the loser bracket courtesy of Stanislaus. No team proved to be scrappier than the DVI Gladiators who played with 9 players all weekend and still managed to win as many as they lost. Their offense is formidable and if they had a 10th player who knows where they would have landed. Santa Cruz is a true small market single agency team. They are making a comeback to the circuit after several years on the shelf. They scored a ton of runs all weekend, so their hitting is spot on. If they can shore up the defense they will end up winning more than losing. They could make a serious run in the Silver division come October. On paper Cali Force was the “best” team as their lineup was chocked full of Hall of Famers. GG Guerra, Mike Mayer, Les Lawson of the Quake were teamed with Jimmy Saunders (HardCor), John Koster (United), and Eddie Russell to form a NorCal All Star team. It took them a while to gel as they looked flat in the round robin but they got things clicking come playoff time and they finished 4th after eventually being eliminated by SoCal Riot. The final 3 teams standing were Arizona Ablaze, SoCal Riot and Stanislaus. While Stanislaus was playing corn-hole and “hydrating” in the parking lot, Ablaze and Riot were playing in a rematch of an earlier meeting where Ablaze forced Riot into the loser bracket. The second time around was a different story as it was Riot’s turn to knock Ablaze out of the tournament. Ablaze clocked out with an impressive 3rd place finish. And then there were two. It was getting late into the evening and there was only one game going. It was the Gold championship between two evenly matched teams, Stanislaus and Riot. Stanislaus seemed a little flat early on whereas Riot was sharp and loose. Stanislaus has been cursed with that long layoff in the past and on this day it would haunt them once again. Riot struck early and often as they pounded outfield gaps, infield holes and hit tape measure home runs. Although Riot was the team coming through the loser bracket, they looked clearly more energetic than the battle weary Stanislaus who played with exactly 10 players all weekend. Things turned for the worse for Stanislaus early when they suffered some injuries to force players to play out of position. Riot won game 1 convincingly which forced an “IF” game. In the “IF” game it was more of the same. Riot was relentless with their offensive attack, and although Stanislaus mounted several counterstrikes it was too little too late. Riot knocked Stanislaus pitcher Travis Hudson out of the game. Hudson was ill and tried to gut through the performance but eventually handed the ball over to Brad “Big Country” Johnson. Although Johnson brought new energy to the mound, even Riot’s mishit balls managed to find grass. The gap grew, Riot continued to grow stronger and after 7, they fulfilled their destiny of winning the West Conference Championship by double dipping the defending champion Stanislaus team. It was a gutsy performance by the short handed, injured and ill Stanislaus squad, but on this day SoCal Riot would not be denied. Just as the SoCal Alliance has done with Majors, Riot has done with Gold. They have started the year with back to back championships including the DEA Kickoff and WCC. Special thanks go out to our sponsors: Brett Helmer & Easton Sports for providing the new model Easton bats. Carlos Vega & Elite for providing $500 prize packages for Alliance & Riot and $250 for Hounds & Stanislaus. Woodmen Life for sponsoring the Alliance 2016 World Series entry fee. Garrett Metal Detectors for sponsoring the Riot 2016 World Series entry fee. Chris Egan for sponsoring the player party. 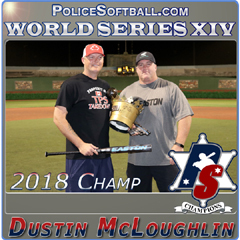 Softball Magazine for sponsoring team profile articles for both winning teams. 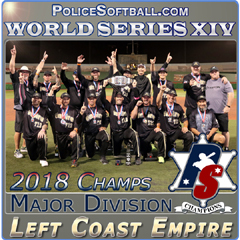 As always, thanks go out to the Big League Dreams crew for providing the ultimate softball experience, Dan Potter and his Police Softball ump crew, and most importantly all of YOU who attended the event and made this happen. We hope to see each and every one of you in Las Vegas for the World Series this October!